The weather sure is beautiful here on the island. Sometimes I forget how lucky I am living and working here out of Anna Maria Island. The weather is so nice here while the rest of the country is getting punished by winter storms; we are enjoying sunshine and 80 degree weather. I was up in Pennsylvania visiting for a few days last week and I just can’t believe the difference. When I got on the airplane to fly home it was freezing, snowing and I hadn’t seen the sun the whole time I was there. When I landed in Tampa airport it was sunny and 75 degrees. When I stepped out of baggage claim and onto the sidewalk it was like a breath of fresh air. I had to dig around in my luggage to find my sunglasses I hadn’t needed one time while up north. It’s a rare day that I can walk outside here on Anna Maria Island without my sunglasses on my face. We are very lucky & I can’t imagine living anywhere else. Fishing has been very good with warm temperatures, we are still enjoying fall fishing conditions. The few short cold fronts have been very weak, not really pushing much cool air, so the water temp is still getting into the mid 70’s. 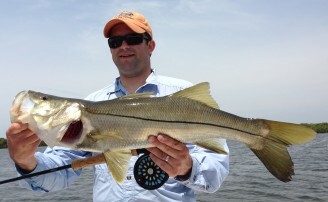 Inshore the fishing has been very good for Snook, Redfish and Trout. 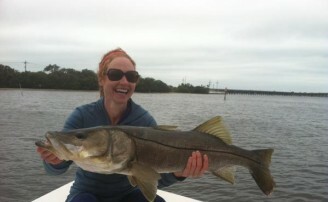 We are catching a lot of release Snook in the 22 to 26 inch class. We have also been catching plenty of keeper Reds mixed in. We have even had a few big days on Redfish where we caught 20 plus Reds or so with half of them being too large to keep. Most of the Reds in that school are 25 to 30 inches and lots of fun to battle. Trout fishing has really picked up and catching a limit of nice keepers is no problem. I haven’t caught any, because I haven’t been trying, but I’ve heard there is some Pompano showing up now as well. Offshore has been very good as well. The Mackerel are still thick as thieves and as fast as you can reel them in. They are the larger ones up to near 30 inches. 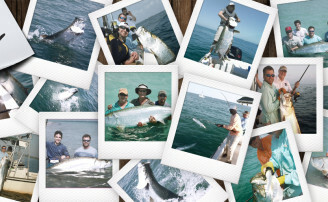 Kingfish are still out there from the beach to 9 miles out, with plenty of large ones over 20 pounds too. The Grouper fishing is hot as well. Gags are closed but Reds are still open. Mangrove Snapper fishing is also still pretty good and a lot of the Mangroves have been 18 inches and larger. I had one I bet was 22 inches and that was only 6 miles out. There is also plenty of hard fighting False Albacore scattered around as well. In all the fishing has been good. So I hoped you have enjoyed my report. Hope I didn’t make any of you northerners feel bad. It was just an observation and something to talk about to open my fishing report. Enjoy your time on the water.